The Vietnam national team won the ASEAN Football Federation (AFF) Suzuki Cup title as they claimed a 1-0 win over Malaysia in the 2018 tournament’s final second-leg at Hanoi’s My Dinh Stadium on December 15. In the sixth minute, veteran striker Nguyen Anh Duc scored the only goal of the match. After two legs, coach Park Hang-seo’s side beat Tan Cheng Hoe’s side with a score of 3-2 on aggregate. This is the second AFF Cup championship title for Vietnam, ten years after their maiden trophy in 2008. 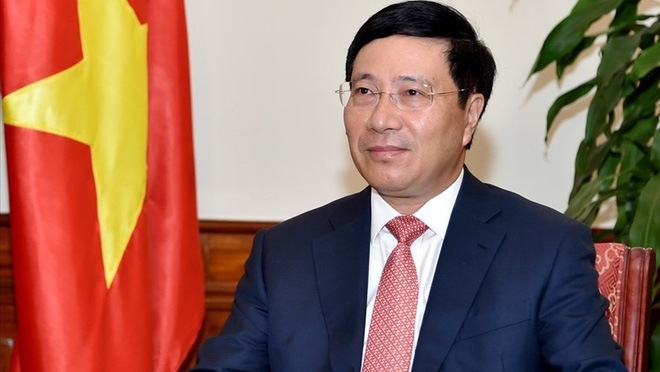 Deputy Prime Minister and Minister of Foreign Affairs, Pham Binh Minh is paying an official visit to Laos to attend the 4th Mekong - Lancang Foreign Ministers's Meeting in Luang Prabang and to co-chair the 5th annual consultation mechanism between the Ministries of Foreign Affairs of Vietnam and Laos in Vientiane, from December 16 to 19. The visit was made at the invitation of Lao Minister of Foreign Affairs Saleumxay Kommasith. On December 16, he held talks with Chinese State Councilor and Foreign Minister Wang Yi. CEO of budget carrier Vietjet Air Nguyen Thi Phuong Thao has been the first Vietnamese person to be named in the 2018 Bloomberg 50 (B50) list, which honours 50 icons and innovators in changing the global business landscape over the past year. She is also Chairwoman of the Board of Directors of Sovico Holdings and standing Vice Chairwoman of the Board of Directors of HDBank. 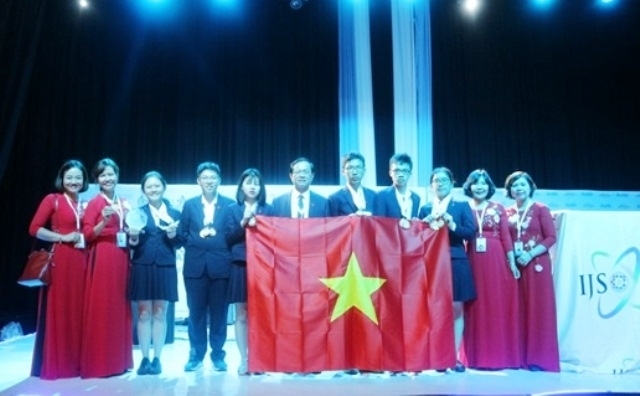 Vietnamese students Nguyen Manh Quan, Vu Quynh Chi, Nguyen Tran Mai Phuong and Nguyen Le Thao Anh each brought home a gold medal from the 15th International Junior Science Olympiad (IJSO) held in Botswana; meanwhile Tran Dinh Quan won two silvers and La Trieu Duong bagged another. The group of Anh, Chi and Duong also secured a gold medal in the practice category. All students are 10th graders of the Hanoi Amsterdam High School for the Gifted. The Vietnamese team at the 15th International Junior Science Olympiad. A French cultural festival, Balade en France, opened in Hanoi on December 14, introducing Vietnamese people to the lifestyle, food and customs of the French people. Ho Chi Minh City, Hanoi and Ha Long city in the northern coastal province of Quang Ninh were among the list of top 100 city destinations of 2018, in terms of international tourist arrivals. The cities were placed at 39th, 51st and 53rd, respectively. The report predicted that Ho Chi Minh City will enjoy a 5.9% growth in the field with over 5.8 million international arrivals. Meanwhile, the forecast figures for Hanoi and Ha Long cities are 8% with 4.64 million international visitors, and 12% with 4.48 million tourists, respectively.